"Bermuda is the perfect quick getaway for a bit of 'old world' tropical glamour; with perfect pink sand, beaches and manicured gardens. I love the country club chic mixed with magnificent scenery- it makes the perfect island cocktail" say Michael Kors. Welcome to Bermuda.... Pink sand beaches, turquoise waters, unique beauty, a breathtaking island paradise. The small island chain is one of the most beautiful and exclusive destinations where the elite go to escape reality. Let yourself be taken away... A private cabana on a secluded beach, the indulgence of outing on a yacht, lounging under a shady palm tree, a shopping spree around the island on a colourful moped, romantic strolls along beautiful pink sand beaches and unforgettable sunsets. The perfect getaway, Island Michael Kors Bermuda. Island Michael Kors Bermuda opens with an exotic blend of vibrant freesia, native hibiscus, watery tropical green notes and glistening cassis buds, which capture the colourful beauty of this unforgettable island getaway. The heart of the fragrance unfolds revealing a brilliant bouquet of tiare blossoms, pink peony and orange flower, enhanced with jasmine sambac and Bermuda's very own passion flower. The allure of this island destination lingers with the aura of driftwood, which is paired with a soft skin accord, and authentic cedar wood. 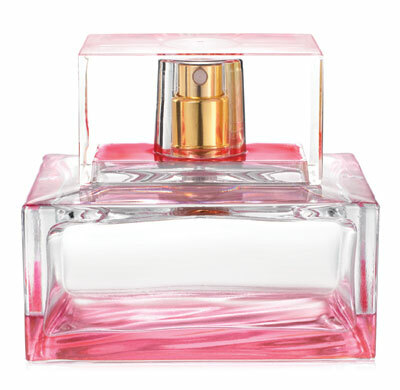 The distinctive floral blend captures the essence of the dreamy pink sand paradise. Enchanting. Colourful. Alluring. Pretty in pink, the bottle reflects the beautiful colour of Bermuda's infamous pink sand beaches. The layered glass is reminiscent of the tranquil waves washing up along the sun-soaked coastline. Inspired by the warmth of the memorable sunsets, the bottle is finished with gold highlights on the fragrance pump and the logo plaque decorates the side of the bottle's cap. The outer packaging illustrates the quintessential moment when you are relaxing on a secluded beach, daydreaming and being mesmerized by the sun setting over the glistening ocean. An enchanting, colourful floral infused with vibrant feesia, native hibiscus, pink peony, jasmine sambac and the aura of driftwood paired with warm cedar wood. Together they capture the essence of this dreamy pink sand paradise. Enchanting. Colourful. Alluring. Sheer and lightweight, the gloss provides lip with a hint of pink colour and a surge of moisture.